Once upon a time these fried potatoes were my signature dish. Everyone who came over wanted my fried potatoes. I think it was the Estonian spices that brought the awesome taste to the table. I still bring them over every time I go to Estonia – Santa Maria Meat overall spice and a Potato spice. So when I do my fried potatoes or any meat product really, I always add these spices to it. We all have these spices that we love and have used all our lifetimes! 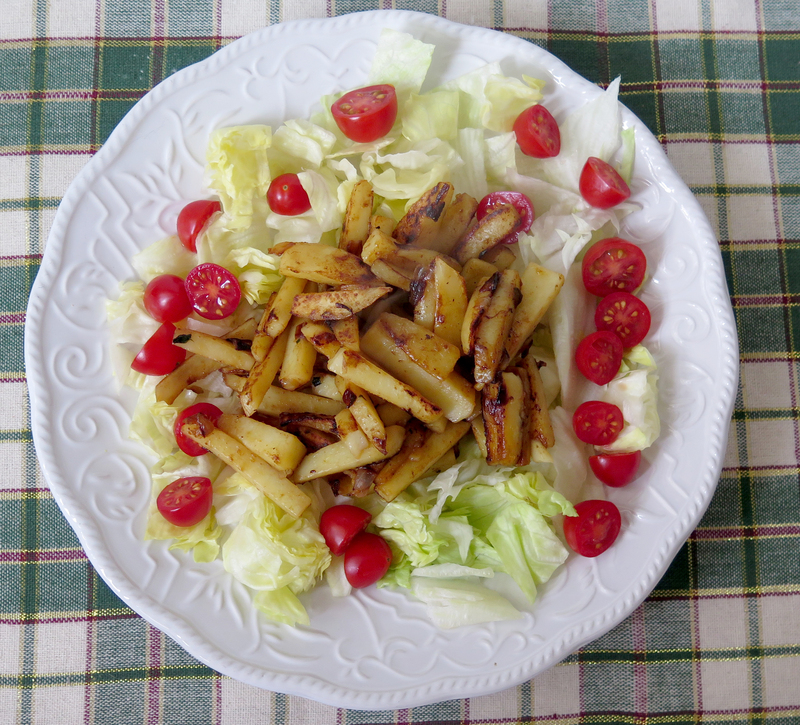 I´m sure you have made fried potatoes at least once in your lifetime but then again I´m sure there are a group of people who have never cooked in their lifetime 🙂 I love to cook I can not imagine having a personal chef, even when I win a whole bunch of money and can afford it. It will never happen! 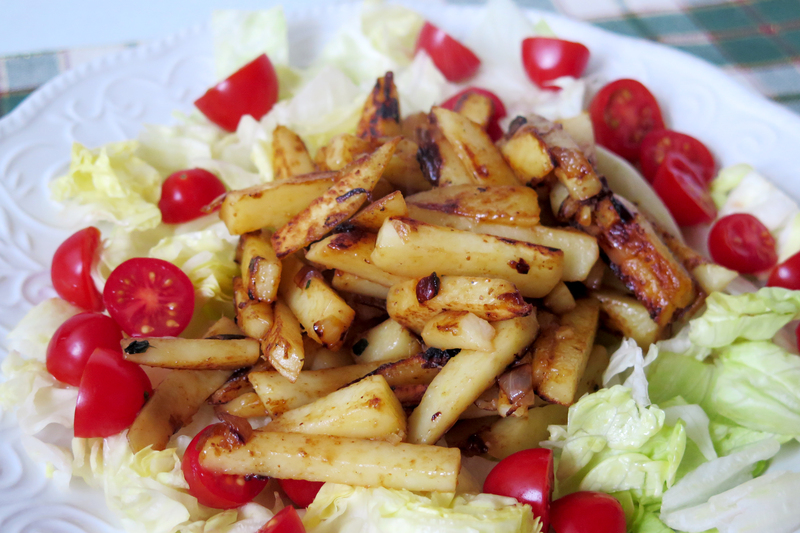 Cut potatoes into “french fries”, haha does anybody know what this cut is actually called? 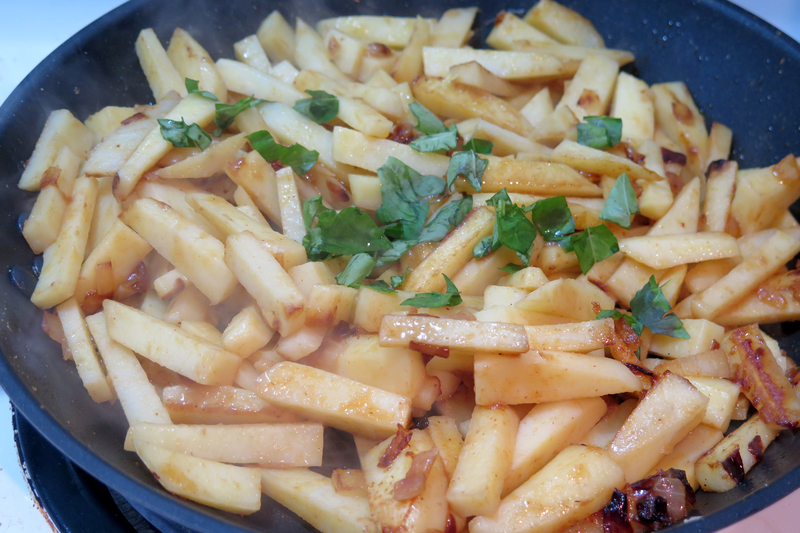 Fry with oil, chopped onion and ginger for about 20 minutes. I always add spices half way through. Flip the potatoes once in a while. Serve with salad or bacon and eggs. Your choice!